Paula-Jean joined Watsi on July 11th, 2013. 6 other people also joined Watsi on that day! Paula-Jean's most recent donation traveled 8,700 miles to support Malacky, a boy from Tanzania, to fund burn repair surgery. Paula-Jean has funded healthcare for 30 patients in 8 countries. 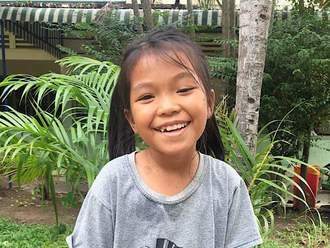 Rachana is a six year old girl from Cambodia. She has one older sister. She likes to paint and draw. He likes to eat fish with rice. Rachana has ptosis in her left eye. Ptosis occurs when the eyelid droops over the eye. She cannot see well. Rachana traveled to our medical partner's care center to receive treatment. 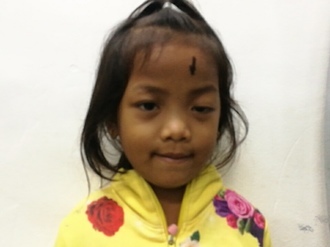 On October 1, surgeons at our medical partner, Children's Surgical Centre (CSC), will perform an eyelid correction procedure to improve her vision. 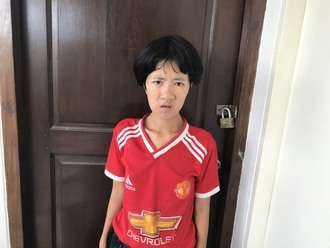 Now, Rachana needs help to raise $292 to fund this procedure. Her father says, "I want my daughter's eye to be normal." Mary is a woman from Kenya. As a subsistence farmer, Mary’s income is small. She is a mother of nine children. Six years ago, Mary developed a cataract in her left eye, causing her blurry vision. A cataract occurs when the lens of the eye becomes opaque, blurring vision. She has difficulty seeing and working on her farm. 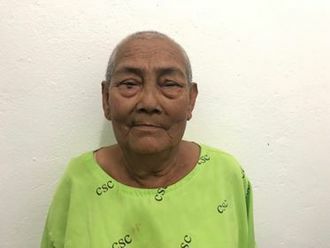 Fortunately, Mary is scheduled to undergo cataract surgery at our medical partner's care center. Surgeons will remove and replace the blurred lens. After recovery, she will be able to see clearly. Now, she needs help to fund this $220 procedure. Mary says, “I hope that soon I will be able to see clearly and continue depending on myself." Birungi is a 27-year-old woman from Uganda. She works as a baker, and she has one eight-year-old child. This child was delivered via C-section. Birungi is now pregnant for the second time and is expecting twins. Due to concerns about possible complications, she has been advised to undergo another C-section. However, she cannot afford the procedure. Birungi's expected delivery date is April 26. She needs help to fund this $280 procedure, which will ensure that both she and her babies are healthy and safe. She says, "After surgery, I will go for a thanksgiving in a church as a way of thanking God for the gift of twins." Tabitha is a casual laborer from Kenya. She is a single parent to two children. Tabitha washes clothes and cleans houses in order to earn a living and educate her children. Tabitha has been diagnosed with breast cancer. Without treatment, the cancer may spread to other organs. A mastectomy, a surgery to remove breast tissue, has been suggested to rid her body of breast cancer and to prevent the cancer from metastasizing. Our medical partner, African Mission Healthcare Foundation, is requesting $816 to cover the cost of a mastectomy for Tabitha. The procedure is scheduled to take place on February 23. After treatment, Tabitha will hopefully return to a cancer-free life. Tabitha says, “My hope is to be treated and raise my children. I wish that my living conditions will improve with time."